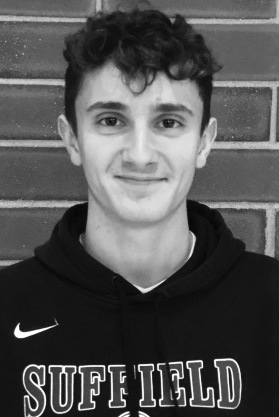 Suffield High School World Language department is pleased to acknowledge Jacob Ofsuryk as the World Language Student of the month for March. Jacob is a junior at Suffield High School and currently a student in French Level 5. Jacob helps to make the classroom an engaging place through his use of the French language and his questions. Jacob is a very conscientious student always striving to do his best and always putting in his best effort. Jacob is truly interested in learning, not just in getting the grade. He seeks to make corrections so he can do it better next time. He is truly interested in all aspects of language learning including the cultural and historical aspects. He is a leader in the classroom – participating fully, working well with others and always willing to help his classmates. Outside of the classroom Jacob is a member of the Suffield High School Varsity soccer team where he is a leader in points scored and is in line to be a captain of the team in his senior year. Jake hopes to attend a four year university to study engineering. Jake is the son of Cindy and Steven Ofsuryk.